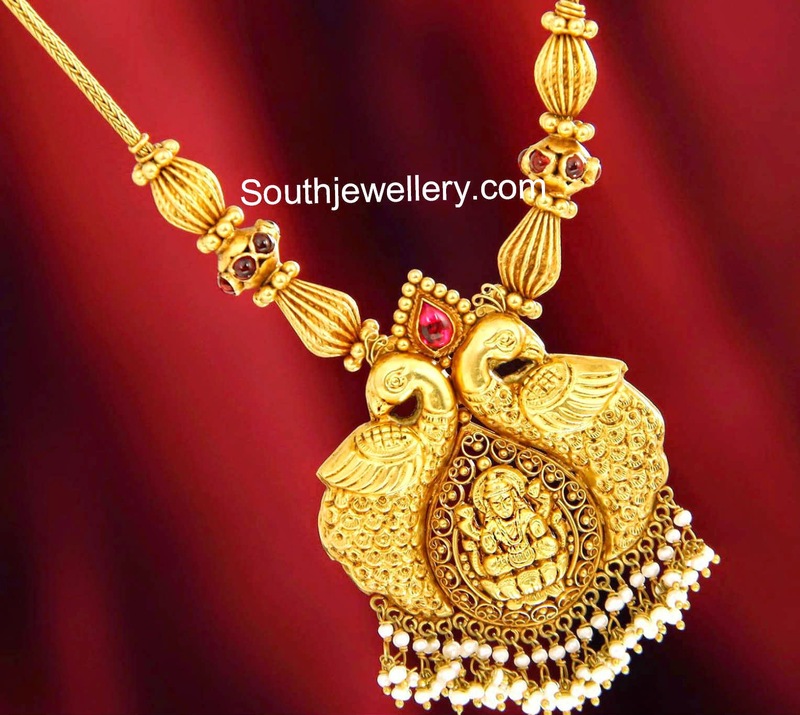 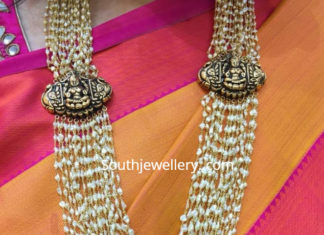 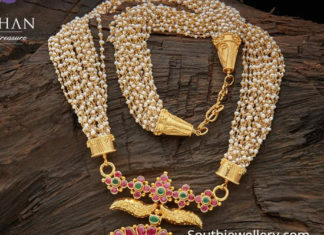 22 carat gold mutli string pearl haram with kundan pendant by Navrathan Jewellers. 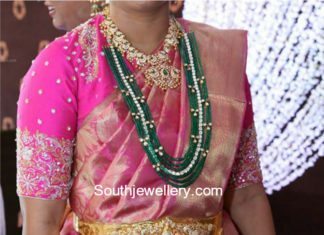 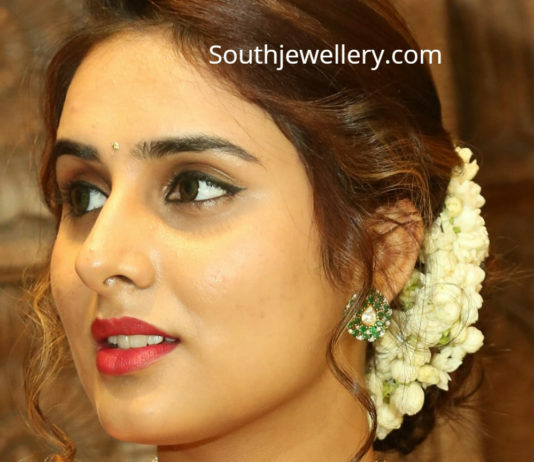 Four line pearl choker with pendant studded with pink tanzanites and emeralds by Nikitha Linga. 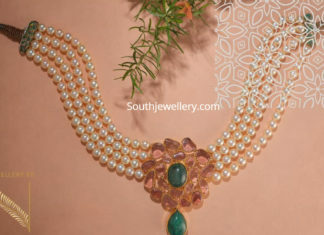 Pearl choker with uncut diamond and emerald pendant; multi strand pearl haram with pendant adorned with uncut diamonds, rubies, emerald beads and pearls by Akoya Jewels. 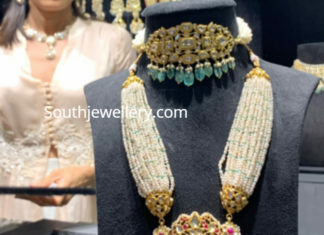 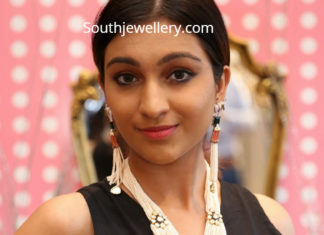 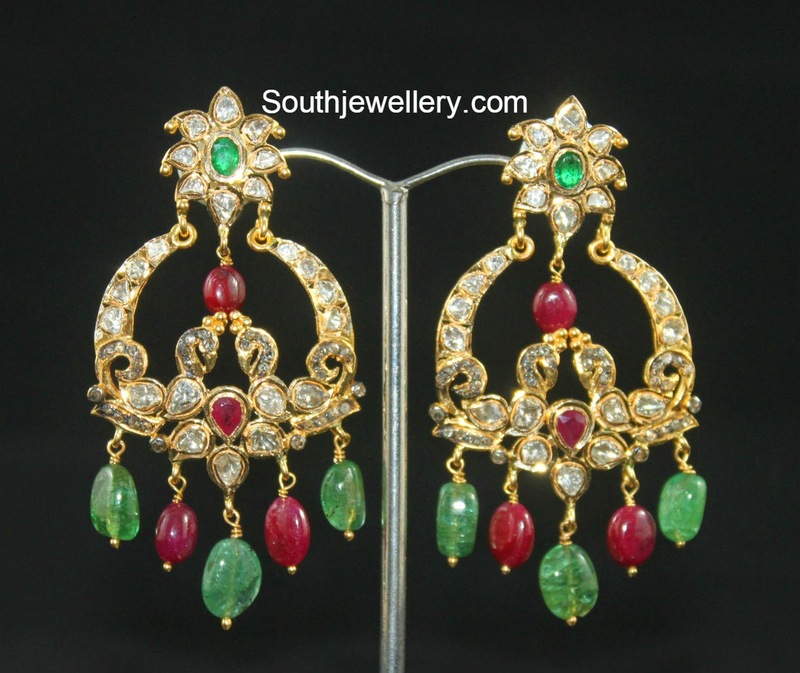 Multistrand pearl haram embellished with polki motifs and elephant pendant studded with rubies, emeralds and polki diamonds paired with matching tassel earrings by Charu Jewels. 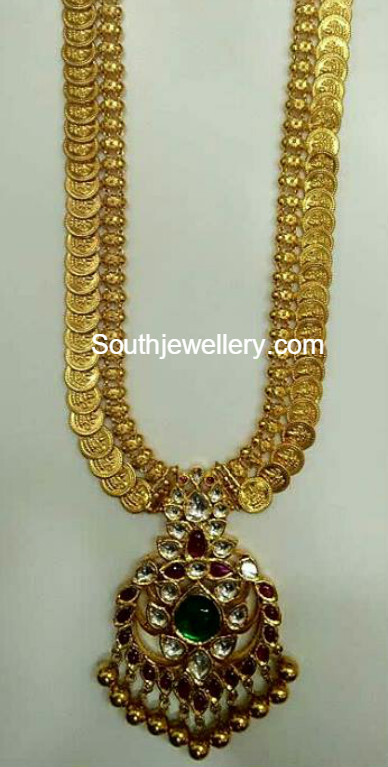 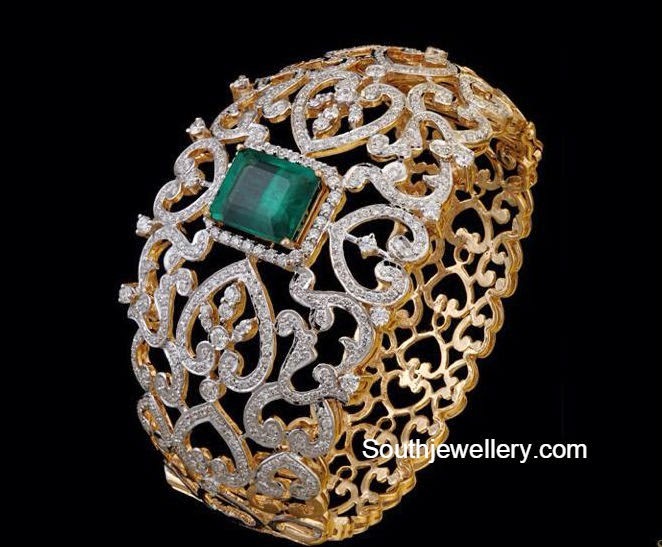 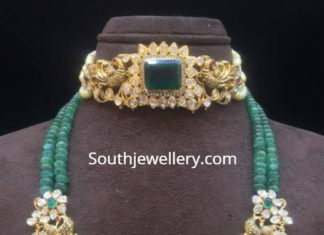 Diamond emerald haram, multistring emerald beads mala with central polki diamond string and diamond Lakshmi vaddanam.